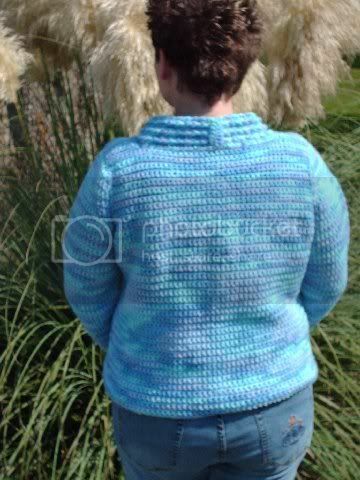 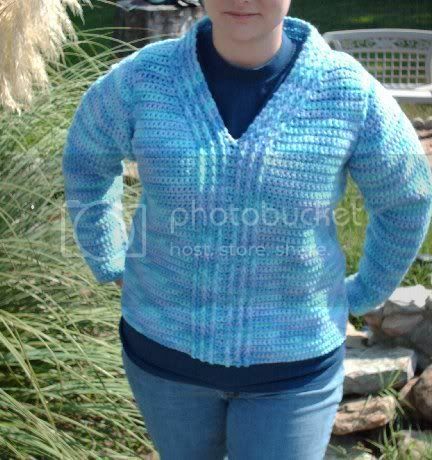 I had started this pullover in August of 2007 but just never got around to finishing it. 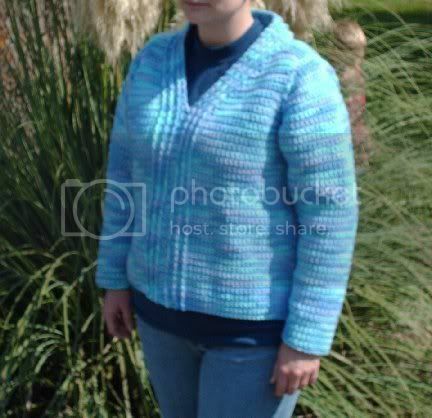 Just like all my other projects, I got bored and tossed it aside to finish at a later date. 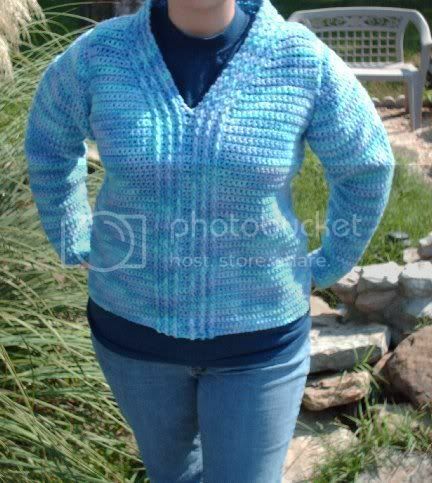 So today, i'm proud to show of my FINALLY finished Comfy Pullover!